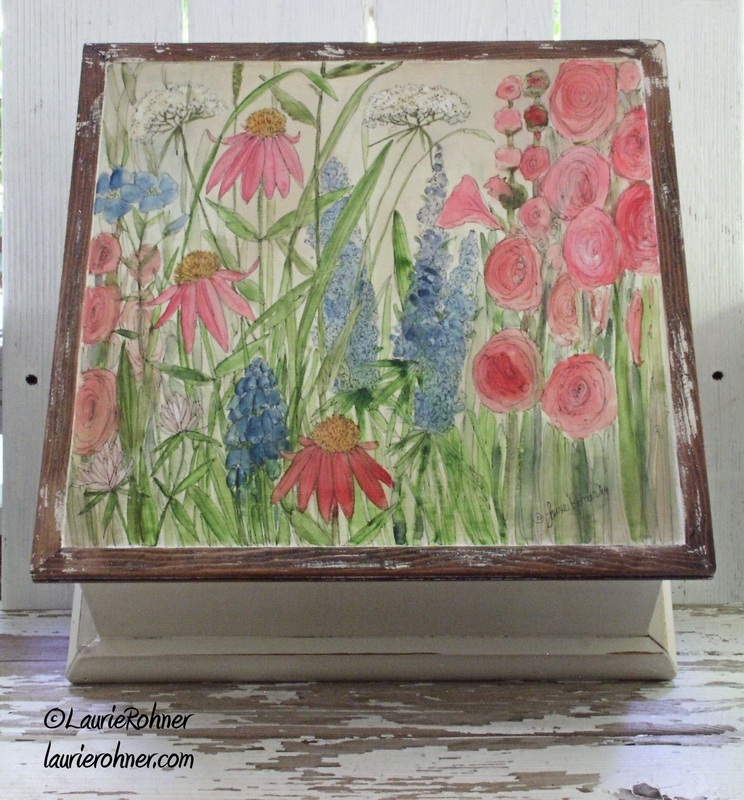 SOLD Large Painted Wood Box Watercolor Garden Flowers Distinctive Cottage Painted Furniture for Between The Weeds by Laurie Rohner. 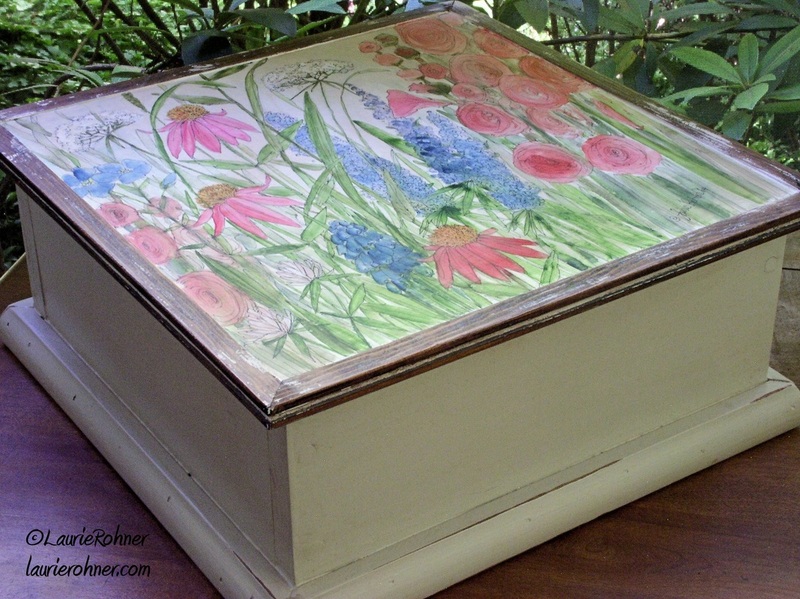 A large painted wood box is hand painted with a watercolor botanical illustration of garden flowers on the top of this cottage shabby chic distinctive painted furniture. 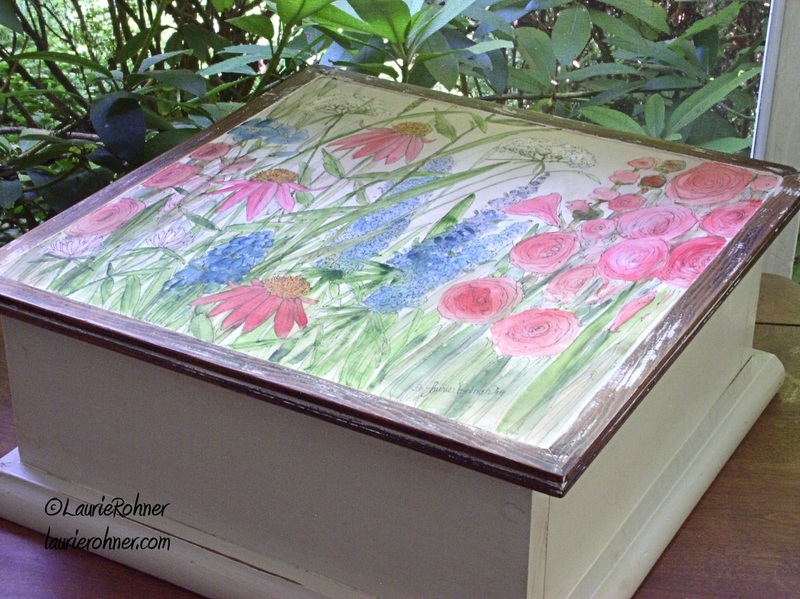 I used a new technique using watercolors on a custom ground base for the decorative painting of some of my favorite garden flowers. 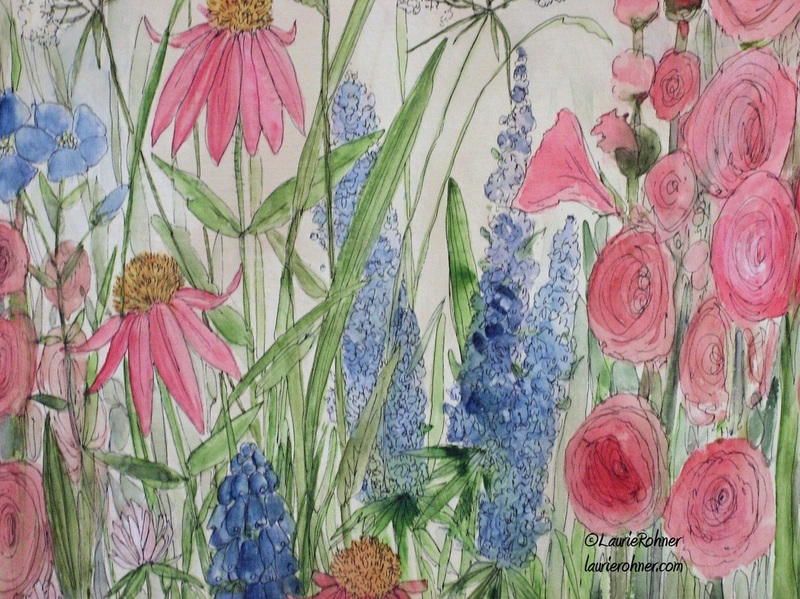 There are pink hollyhocks, purple and blue larkspur, queen anne lace, raspberry coneflowers, wildflowers, and grasses. It is handcrafted in my studio with birch plywood, poplar and pine woods. 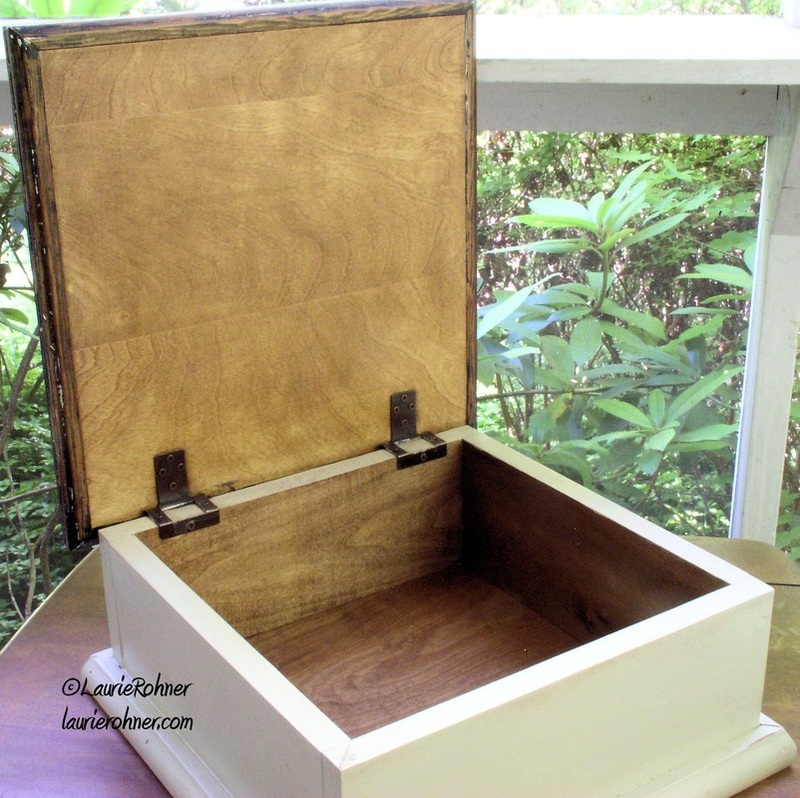 The finish and paint is hand applied and varnished to protect the original artwork.